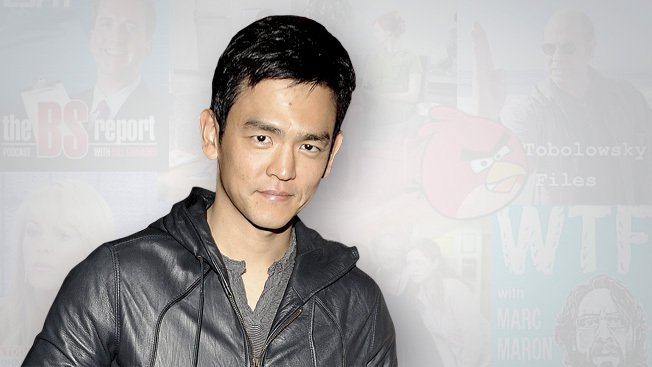 The co-star of Harold & Kumar comes clean about his addiction to Angry Birds and his epiphany after reading The New York Times in print. I try to hit the Los Angeles Times and New York Times sites. I just bought The New York Times–the real paper–the other day and thought, “This is great.” I prefer holding it. So I’m going to subscribe to the actual New York Times. The L.A. Times, for whatever reason, seems fine digitally. And I get Variety because I’m showbiz-y and cool. I turn the TV on while I’m making breakfast–The Today Show, probably. I try to wait on emails until I’m ready–that’s after the dog walk. In the car, I listen to podcasts–The Adam Carolla Show, This American Life, WTF With Marc Maron, The B.S. Report With Bill Simmons. Oh, and The Tobolowsky Files, which is my favorite. Stephen Tobolowsky started this podcast where he basically tells stories that he’d tell his friends at a dinner party, and they’re quite beautiful. I consume mostly junk TV. I turn the TV on and flip around and 45 minutes later, turn it off. I catch The Office in reruns and new episodes. That’s probably the only show I follow ritualistically. My favorite show on television is Mad Men, which is foolhardy because they only make a few episodes a year. If I watch the news, I usually catch it on a TV. I Netflix an episode of The Office on my iPad right before bed. That’s my ritual. God, there are so many calories available on the Web. I guess I’d have to say print. Even shopping on the Web, it seems convenient, but it’s so overwhelming. I find the Web unwieldy. My favorite app right now is Angry Birds. It’s like a disease. And Netflix, although it’s weird in terms of what’s available lately. I think iBooks is insanely convenient. An iPad is not particularly necessary, but I got one. But it hasn’t taken over my life. I guess I’m just intermittently engaged in it. Cutting out TV news does a lot of the editing for you. They just yell a lot and throw a lot of information at you that you don’t need. But for whatever reason, I don’t have that need to consume digitally. It seems like clutter, mostly.